China issued a white paper on Tibet titled “Democratic Reform in Tibet – Sixty Years On”. But not whole of Tibet, only a part of Tibet which it calls “Tibetan Autonomous Region” (TAR). Parking away the thoughts on the title for later, the white paper overall appears to be a sad and desperate attempt of China to justify its reasons to attack and occupy Tibet. Even after 60 years of complete occupation of Tibet, China finds it indispensable to discuss the alleged “feudal serfdom” situation in Tibet of 1800s and early 1900s devoting more than half of the white paper, no less than 5 chapters on this. Despite the widespread acknowledgement of scholars in futility of explaining Asian societies, especially the traditional Tibetan society, in terms of European medieval feudal system due to their inherently different characteristics, China has resorted to playing the broken record once again. The irony of futility in explaining this to Communist Party of China which believes installing the pictures of Xi Jinping and Mao Zedong in the altars of Tibetan homes amounts to freedom of religion is not lost. Old Tibet or Contemporary Tibet under Chinese Colonial Rule? So how does China analyze that Tibet was “feudal serfdom”? The reasons listed are: 1. Deprivation of rights 2. Life and Death in others hands 3. Monopoly of means of production 4. Ownership of serfs 5. Exploitation and 6. Strict Mind Control. For a person who follows the current grim human rights situation in Tibet, these characteristics appear to aptly describe contemporary Tibet under the occupation of China rather than the “old Tibet” China so desperately wants to paint. China quotes Universal Declaration of Human Rights to its convenience, but what about ensuring the rights enshrined in it to Tibetans who are deprived of the basic human rights viz., freedom of speech and expression, freedom of movement, freedom of assembly, freedom of religion etc. All major independent institutions have called out China on its oppressive rule in Tibet- be it the Freedom House which has once again ranked Tibet as the second least free region in the world or Human Rights Watch, Amnesty International, UN Experts, Special Rapporteurs and the like. But the last characteristic- “strict mind control” evinces the hypocrisy of China. Wonder if the “patriotic education”, “patriotic re-education”, “legal education”, “vocational training centres” which was once again rechristened as “education campus” inflicted by China on Tibetans and Uighurs are for ‘strict physical exercise?’ Since the occupation of Tibet, China has been systematically trying to brainwash the Tibetans and has made every attempt to Sinicize Tibetans even to the extent of depriving them of studying and learning their mother tongue- Tibetan. Democratic Reforms or Unleashing of Death spell? Many atrocities have been perpetuated in the name of “reforms” world over but nothing comes closer to the ones committed by People’s Republic of China in the name of “Democratic Reforms”. The terms which generally should invoke joy, sends spasms of pain amongst the Tibetans. 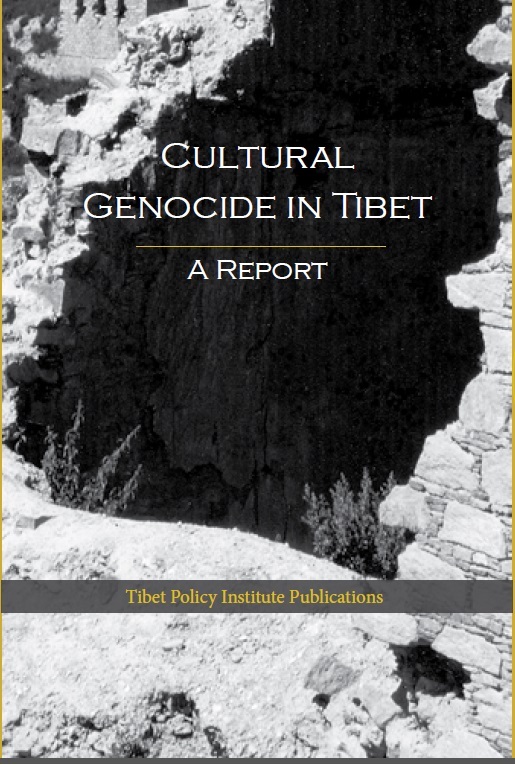 To call its white paper after the terms which torment Tibetans of torture and tragedy is one cruel joke of China. 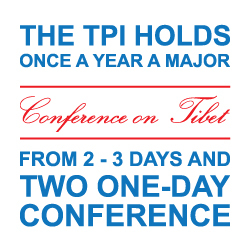 The remainder of the white paper is dedicated to justify the continuing occupation of Tibet. 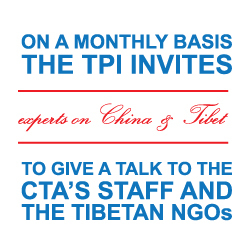 The tall statistics expenditures and development in Tibet, unverified by independent experts, purely with the purpose of perpetuating its rule is merely a collateral benefit reaped by the Tibetans in Tibet. The massive investments in the militarization and mining projects being undertaken in Tibet- one of the most ecological sensitive regions in the world seem to have contributed to the GDP. The largest source of income (about 75.45%) for Tibetans in urban areas is salary and for rural residents it is farming (about 55.52%).iv 60 years of occupation and China has not developed any notable secondary sector industries in Tibet. Disempowering the Tibetans by ensuring that they are dependent on subsidies and then cutting off the subsidies for crossing some arbitrary line drawn by the Communist Party of China is not economic boom but a policy for disastrous and dependent Tibetan economy. This is like feeding fishes but not teaching to catch them. Development for whom, for what purpose and at What Cost? The very fact that even after 60 years of occupation, China has not been able to develop enough skilled labor among Tibetans and is now admittedly migrating so called “high caliber people” from other parts of China speaks about the kind of development envisaged for Tibet. The policy of populating Tibet with Chinese people and then bringing about infrastructural development for their sake does not amount to development of Tibetans. Depriving Tibetans of quality education and expecting them to compete with Chinese graduates and then blaming Tibetans of incompetency does not mean development. For every question on the human rights violations in Tibet, China’s answer is “development”. When a human being is deprived of all the rights and freedoms and stripped of his basic humanity, then what do you do with the so called “development.” In the name of “traditional primitive society” China occupied Tibet to thrust it into “development” mode which appears to be like taking a person from hot iron and setting them on fire, literally. 153 Tibetans from different walks of life have self-immolated- old, young, men, women, monks and nuns. If development was the answer why are Tibetans taking this extreme measure? Let us not even talk about the so called “freedom of religion with Chinese characteristics” that Tibetans are enjoying in Tibet. The 11th Panchen Lama who is turning 30 this year has been kidnapped by China when he was merely 5 years old and even to this day we don’t know his whereabouts. The fact that European Parliament has ranked China amongst the worst violators of freedom of religion or belief should suffice to counter China’s claim. There is only one sentence in the white paper that seems agreeable. Indeed, “these 60 years have changed Tibet” but for the worse. China occupied a country for 60 years and has tried every trick in the book of “how to destroy a civilization” if it was ever written and yet the very fact that China feels obligated to publish the so-called white paper to expound its claims of development and justify the occupation shows that China has failed. China has failed in brainwashing the people it has occupied. And it is afraid, scared that this population it has so long suppressed will once again raise just like it has happened in every decade of its occupation. [i] Panchen Lama, 70,000 Character Petition, submitted to Mao Zedong and Zhou Enlai in 1962. [ii] Central Tibetan Administration, Tibet: Proving Truth from Facts, 1993, Dharamsala. [iii] Andrew Martin Fischer, The Political Economy of Boomerang Aid in China’s Tibet, China Perspectives [Online], 2009/3, 2009. [iv] China Society for Human Rights Studies (CSHRS), Human Rights in China, Side-Event at UN Room XXVII on 1 Mach 2019 between 14:00 to 15:00. [v] File 13 is euphemism for trash can. 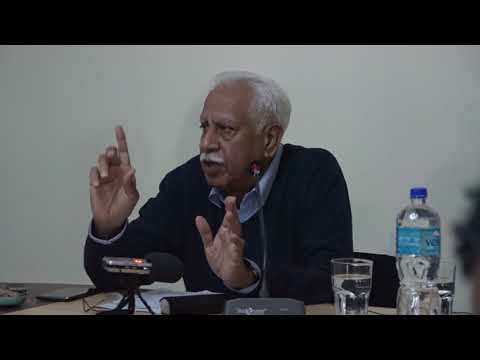 This article was originally published in tibet.net on 3rd April 2019.